China won the Snooker World Cup for the third time in a row by beating England 4-3 in the final in Wuxi. Ding Junhui and Liang Wenbo of China A came from 3-1 down to win the last three frames against English duo Judd Trump and Barry Hawkins in an exciting conclusion to the tournament, which started out with 24 teams. Ding and Liang took the World Cup for their nation in 2011, then in 2015 the trophy went to the B team of Zhou Yuelong and Yan Bingtao. Now it’s a hat-trick of titles as home favourites Ding and Liang claimed the $200,000 first prize to the delight of their fans. 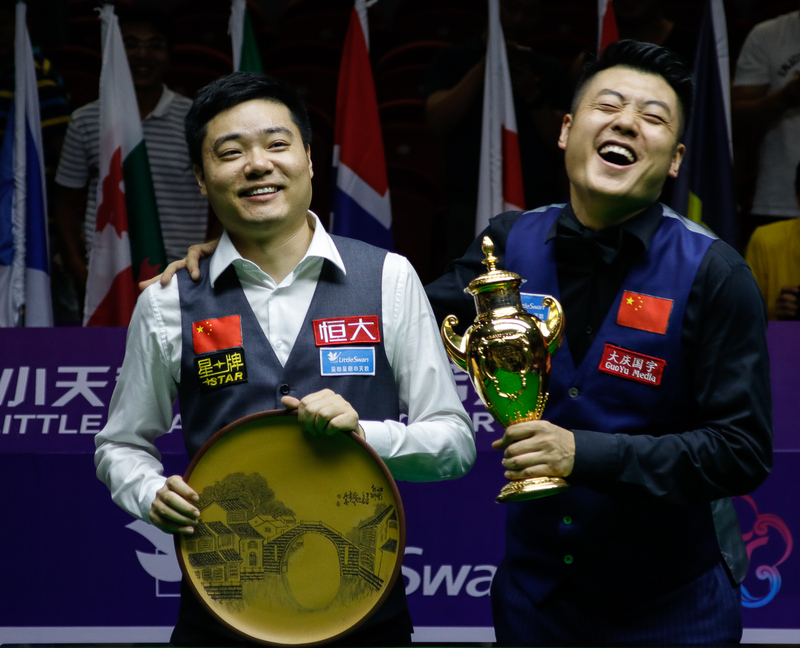 It’s Ding’s first silverware since the 2016 Shanghai Masters and Liang’s first since the 2016 English Open. Trump cleared from yellow to pink to win the opening frame for England, then Ding beat Hawkins with a break of 68 to level. England won the doubles frame then Hawkins beat Liang for 3-1. Ding made a 69 to close to 3-2 then a tense 40-minute doubles frame came down to the colours, with England missing chances for victory as China made it 3-3. 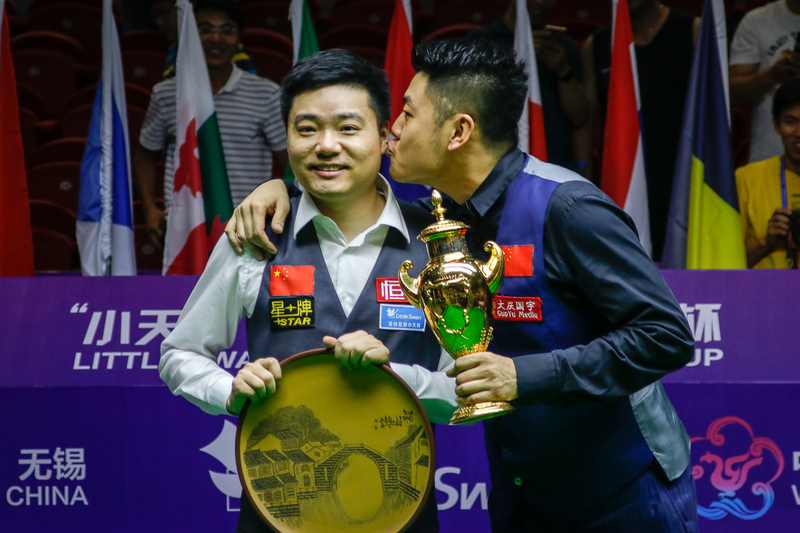 Ding and Trump stepped forward to play the deciding frame and it was 12-time ranking event winner Ding who dominated, making breaks of 59 and 29 to seal victory. Ding said: “I have a pretty decent head-to-head record against Judd. In a deciding frame I don’t think I’ll lose to anyone. I was playing with great confidence, apart from the red I missed in the last frame. But we won in the end. “I’m so glad to have won this in front of my home crowd, especially as it’s the World Cup title. Both of today’s matches were tough. Liang played well even when we where 2-0 down this afternoon (against Thailand). We hope this tough win can leave everyone a great memory. Earlier in the semi-finals, China A saw off Thailand 4-2, while England edged out China B 4-3, with Hawkins beating Zhou Yuelong in the decider.